May and June bring with them the season of concerts and recitals as schools and music teachers break for the summer. Each spring, we memorized a recital piece to show off our talents, which grew year by year. The same was true when I began playing violin in school. 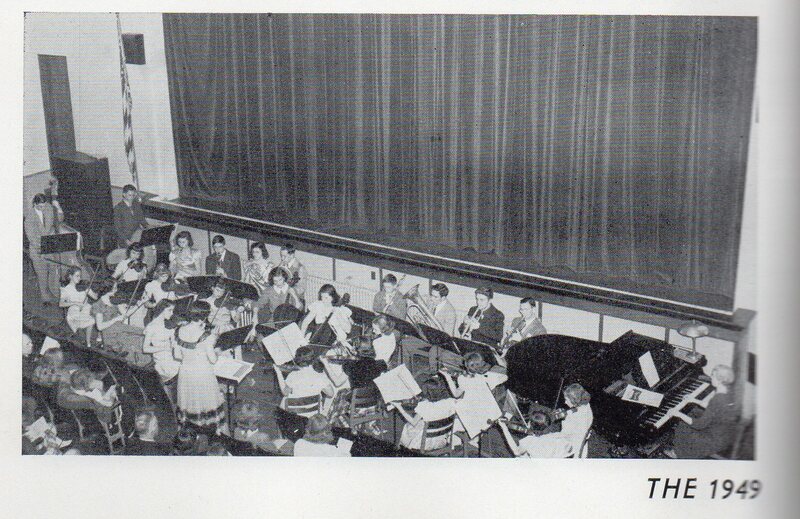 In the spring our orchestra and band played a concert, and we played instrumental solos, too. In sixth grade, our brand new orchestra was fortunate if we got all the way through Three Blind Mice that first spring, but by high school graduation, we were an accomplished ensemble playing advance music. I also remember that if I played well, Dad took me and Mom to the Greek Candy Kitchen for ice cream sundaes—always something to look forward to. Do dads still treat their children after a successful recital? I hope so. In my nearly finished novel, A Long, Long Summer, the children are surprised when a pony arrives on the farm. 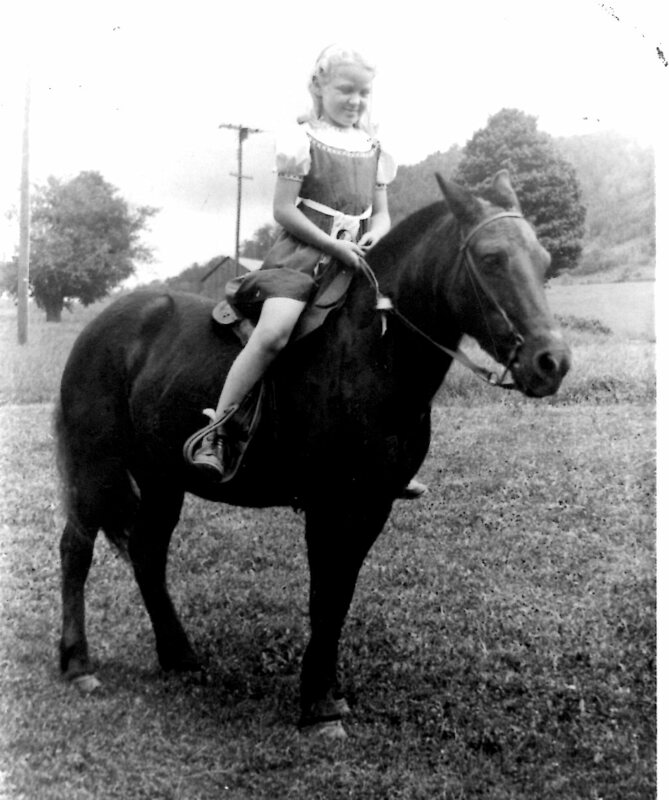 The novel is fiction but the setting and the pony were real in the Summer of 1943. Everyone watched Uncle John and the driver disappear into the dark truck. It seemed like a long time before they tugged and pulled the new cow down the ramp. Once she was off the truck, Uncle John led her into the barnyard where he untied the rope to let her go, and refastened the gate. Chum, now at Uncle John’s side, studied his new charge. What other one? Instantly, all eyes went back to the truck, but they couldn’t see inside it. “We’ll put her in the barn,” Uncle John said. The driver went into the truck and came out leading a black pony. “For us?” Johnny looked at his mother. The pony was also reluctant to walk down the ramp, but Uncle John patted her head, took hold of the pony’s halter and led her slowly off the truck to the front of the barn. The driver disappeared into the truck again. He came out and tossed a saddle and bridle onto the grass. He lifted the tailgate, slammed it closed, and locked it in place. He hopped into the driver’s seat and waved as he drove off. The three children and Aunt Belle hurried down the bank. Uncle John led the pony back to the grass where she dropped her head a grab a mouthful of it. Jeanne, fearing to get close, stayed back of everyone else. Sally reached out to rub the pony’s forehead. Johnny patted its shoulder. Aunt Belle took a carrot from her pocket and offered it to her in the palm of her hand. Jeanne held her breath, sure the pony would bite Aunt Belle. Instead the pony took the carrot between her soft gray lips. She nodded her head as she chewed it up. The picture is of my pony, Patty. Many kids grow up wishing for a horse. Why? As I remember Patty, it was a bit of freedom to get on her back and have her respond to my commands–fun to trot or gallop across a field. Perhaps, it’s like the first time one gets to drive a car or any vehicle–a sense of being in charge. As an adult, I had little chance to ride for many years. Then for a few years a close neighbor had Brownie. He was a stubborn animal and often had his own idea where he wanted to go. It took the same stubbornness to persuade him that in the saddle I was boss, and he was the horse. I’d been well prepared. Patty had also been stubborn. She and I had that same conversation more than once. She would not go on the road. My father hated to shoe her because as soon as he picked up one of her hind feet, she rested her body on his back. It wasn’t easy to hold her weight. She would do anything for my mother, especially if rewarded with a licorice gumdrop, probably because my mother gave her daily attention. She grew to be an old lady on the farm. IN my children’s novel, A Long, Long Summer, Jeanne is surprised to discover that her aunt and uncle grow the vegetables which they eat all summer and prepare for the winter. “What do we do?” Jeanne asked following Sally out to the woodshed. “First, we take these buckets and pick peas, and then we shell them.” Sally picked up two clean gray metal pails from a pile on the corner of the woodshed porch, and handed one to Jeanne. “I’ll be down after I change,” Aunt Belle called as they went out to the back porch and down the knoll behind the house. The large garden went from the edge of the dirt driveway to the raspberry bushes and the red hen house. Jeanne hoped she wouldn’t have to go in there again. They passed the green spires of the sweet corn, now grown taller than the day they’d been in the hen house to gather eggs. Aunt Belle wore a pair of brown trousers and a large straw hat over her wavy brown hair. “It’s going to be a hot one today,” she said, “and maybe another thunderstorm.” She knelt down and began humming to herself as she worked quickly. She soon passed them with her bucket already half full. Aunt Belle had started on her second row when the girls finished their first. Their pails were full. On the porch they found that Aunt Belle had left bowls for the shelled peas and a large basket for the empty pods. They sat on the porch floor with the bowls in their laps, their unshelled peas to one side and the empty basket between them. “Are these bowls big enough for all these peas?” Jeanne asked. The basket of empty shells piled up quickly, but the bowls filled slowly. Many people, like Jeanne, have neither grown nor picked their own vegetables. In the store they reject those that aren’t perfectly formed and without blemish. They have no idea what it costs in land, seed and fertilizer, labor and taxes to grow them. Now, with the developing “natural and organic” markets, some people are beginning to understand. Growing up on a farm, my parents had a large garden where we grew all our own vegetables. Some appeared on the table fresh from picking, but the bigger portion went into jars, which were processed in a canner. Peas, green beans, carrots, beets, corn, Swiss chard and tomatoes all came to the table throughout the winter and until the next growing season began. In addition Dad grew a large patch of potatoes which were aLso stored in the cellar for the winter. Why didn’t they freeze them? That technology only became viable financially for stores and families after World War II. Most of you reading this never experienced a country party line in the 1930s and 40s. The telephone box hung on the wall and had a crank on its side. If I wanted to talk with my friend on the same line, I cranked three shorts and one long: zing-zing-zing-zzzinng. If I wanted to speak to someone not on our line, I picked up the receiver and cranked one long. An operator asked for the number I wanted and rang it for me. Should it be busy, she would tell me. For long distance, the operator took the name of the city and the number, and called back when she connected with it. In cities, you only had to pick up the receiver of your black Western Electric telephone to get an operator. How modern and convenient! In the 1950s, Western Electric and ATT&T improved the system with dial phones. No more asking the operator for your number, you could dial it yourself. Then came push button telephones—no more wearing your finger out dialing. Push button phones morphed into my favorite—ones that remember the number with a single button. The downside of these is that without the telephone in hand, I don’t know the number of the person I want. This is still true. If your cell phone dies, how do you call someone if you don’t remember the number? Through the decades, communication by phone has gone from do-it-yourself party lines to calling anyone, any time, and expecting instant response. What’s next? Constantly connected through our eyes? Brain?